Using high audio quality materials for drivers (Kevlar for the woofer, Titanium for the tweeter) can deliver you a professional audio quality. And also it's easy to install with a gold plated push type speaker terminals, paintable grills/frames, a cut-out template and a paint protective cover. You can swivel the tweeter and the midrange diver to " aim" the high frequency sounds toward the main listening position. To do so, simply press on the edge of the tweeter to change the direction it faces. 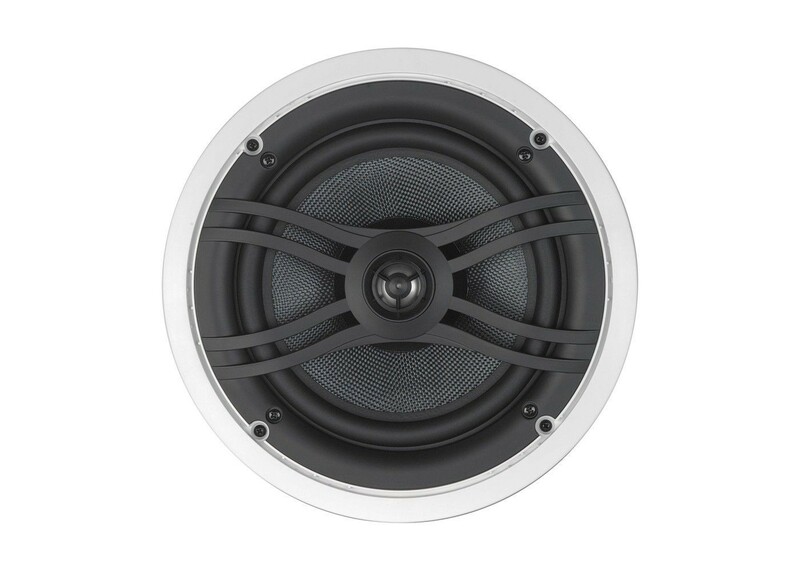 The NS-IW560C features a customized high quality crossover network to ensure maximum sound performance. The crossover circuit is designed to minimize distortion and has much capacity preventing the deterioration of transients as they pass through the network. Product Dimensions (W x H x D): 10-9/32" x 4-13/32"